Successful campaign manager and three-time mayor of Ashland, Oregon, Catherine Shaw presents the must-have handbook for navigating local campaigns. This clear and concise handbook gives political novices and veterans alike a detailed, soup-to-nuts plan for organizing, funding, publicizing, and winning local political campaigns. Finding the right message and targeting the right voters are clearly explained through specific examples, anecdotes, and illustrations. Shaw also provides in-depth information on assembling campaign teams and volunteers, canvassing, how to conduct a precinct analysis, and how to campaign on a shoestring budget. 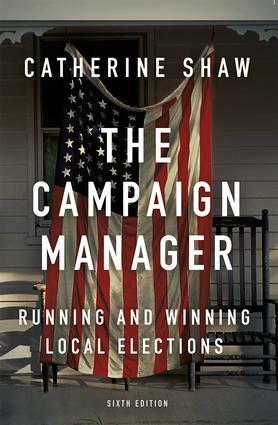 The Campaign Manager is an encouraging, lucid presentation of how to win elections at the local level.The sixth edition has been fully revised to include new and expanded coverage of contemporary campaign management-from digital ads and new social media tools to data-driven voter targeting tactics and vote by mail strategies.